LITTLE-APPLEFALLS: Blue Skies....With a Hint of Snow! How are you, my lovely bloggie friends? I'm just a TAD busy....hahaaa.....but, aren't we all gettin' that way at this time of year? Doesn't help that I effectively "lose" a few days, each week, because I'm either minding grandkiddles or on the phone, trying to sort an extended-family problem....and that takes mega chunks of my time, at the moment.....sheeesh! We are always happy to have our current sponsor with us ... StampArt Design by Kathryne! 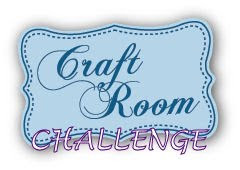 Our random prize winner will receive their choice of 4 images from the SADK collection available at Whimsy Stamps ... wonderful! 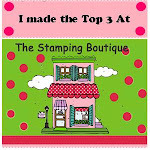 We're thrilled to have StampArt Design by Kathryne as a sponsor because we love the images and sentiments! This is a colour challenge, so we want to see lots of blue ... maybe you'll create a monochromatic card... it doesn't matter, as long as BLUE is your main colour! Remember our 'twist of faith', too..... your creation should also include a scripture, or quote or an uplifiting sentiment that suits this week's theme. Oh the joys of those who takes refuge in him! Here is a scripture to share, or for inspiration ....please use any scripture that offers a message fitting our theme. A big juicy snowflake with a red button, sewn on with silver thread completes this little card.....and now it's your turn! 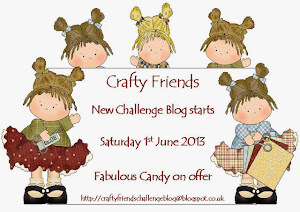 Do pop over to the challenge blog to see the delights that our fabby Design Team have created. Thanks for stopping in to see me.....I love it when you do! 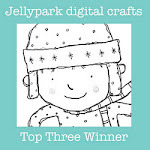 Awww, That's a gorgeous Winter scene you have created Anne-Marie, I love all the sparkle. The image is adorable, his jumper is so cute! This is really cute!! Sweet little bear!! I love the sparkle you added!! Delightful little card. I really like that lamp post, your colouring, the blue background -- OK, so I'm liking it all (grin). It really is a wonderful card. Lovely Christmas card, and that bear is too cute. I know what you mean about being so busy at this time of year, esp with grandkids. Thanks for sharing it with us at Bearly Mine Challenges. Hello my dear sweet friend - your card is absolutely adorable. You have created a wonderful and happy snow scene. I love the pop of the red button in the middle of the snowflake, the lamp post, the white picket fence - everything is perfect. So happy we are on the same DT. This is wonderful (and I'm not just sayin' that cause it's blue!) and I love the glittery snow accents! The shimmery sentiment is so pretty and that little bear is so sweet!